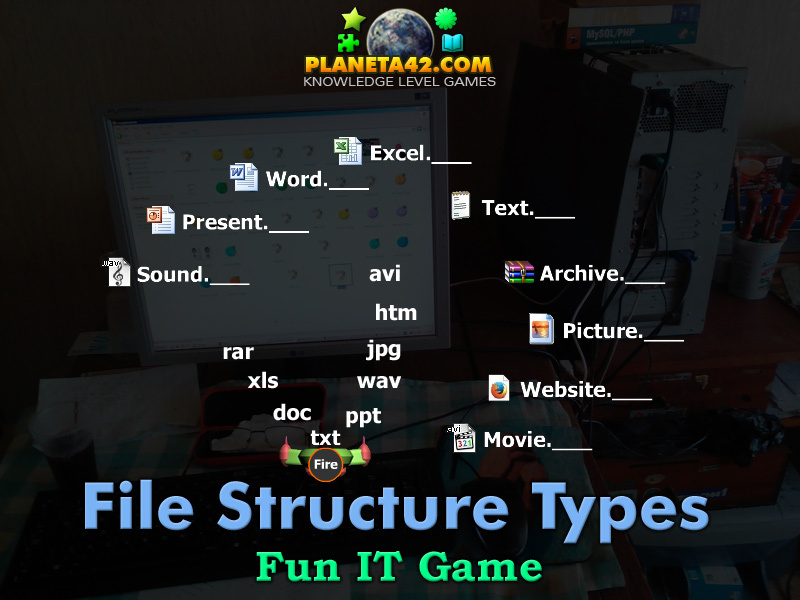 The file structure and 9 basic file types in a fun online IT learning game. The IT Knowledge Board include 9 moving files to shoot. The game is part of the Interactive Computer Tools educational games. What is the extension of text files? What is the extension of picture files? What is the extension of archive files? What is the icon of sound files? What is the icon of movie files? How to play File Structure and Types. 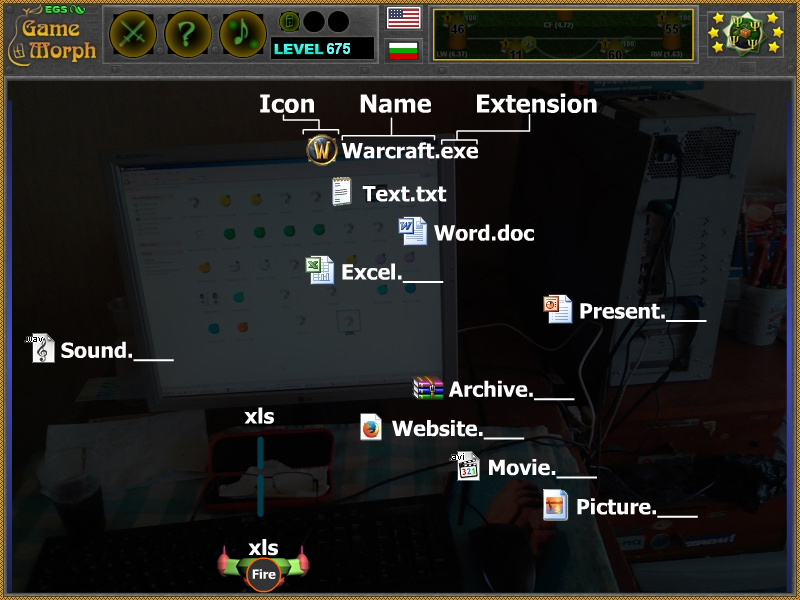 Move the extension holder with the arrow keys or the mouse and shoot the current extension at the moving files. To view file extensions on your computer with latest versions of windows, find the control panel, then find "folder options", then find the checked box for "hide extensions for known files" and uncheck it.